This workshop is unique. It deepens understanding of one's personal spirituality, and demonstrates how to apply that to clients. This is one of our most popular workshops. It has run in 12 countries, over the last 15 years. We also explore the topic of Religious wounding, and demonstrate how to work with unfinished business using a Gestalt approach. The workshop consists of presentation of a model of relating spirituality to therapeutic work, small and large group discussion, exercises, and experiential work. Life is a journey involving the evolution of our soul. The fields of both spirituality and psychotherapy offer support in this process; but what is the difference? What does spiritual growth really mean, and how is it related to the personal growth achieved through therapy? These questions will be examined and answered in this workshop by looking through the lens’ of principles, practices and experience. Because it is so easy to get lost in esoteric ideas, the emphasis is on achieving clarity through heightened self awareness and movement into dialogue on the topic of spirituality. 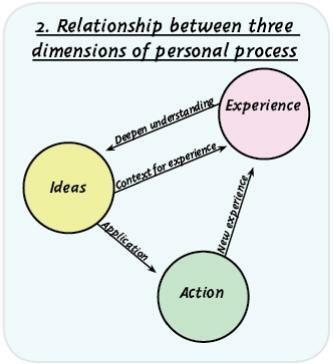 Transformative experiences hold the key to a personal understanding of the topic, so these are shared and explored in small groups. A safe container is created in the groups, so the intimacy of self revelation can be supported, building connection and an I-thou experience. Participants are guided to examine their own beliefs systems in regard to personal and spiritual evolution. Core values and experiences reveal the deepest parts of ourselves, and often lead to conflict or misunderstanding when shared. The workshop creates a safe and supportive atmosphere in which to examine each person’s deepest questions and reflections. It is essential that abstract and esoteric ideas get grounded through application; the aim in this domain is to energise practical action for partipants lives as a result of the workshop. 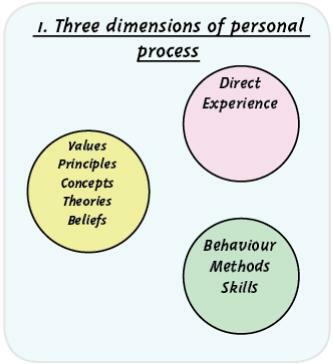 The practices for transformation that each person uses are identified. 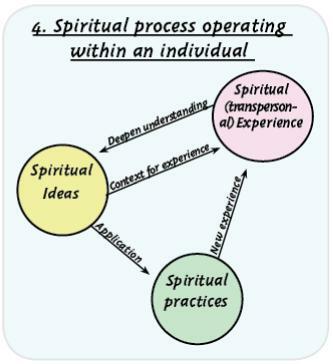 Spiritual and therapeutic practices are compared and contrasted, and then linked to the previous explorations of personal beliefs and experiences. On the second day, the workshop provides an opportunity to experience the application of Gestalt process in working with religious wounds. Religious wounding occurs when the spiritual realm is contaminated with oppressive and hurtful experiences, often stemming from the abuse of power in relationship. People come to therapy to deal with their pain, but rarely consider religious wounding to be a subject for therapeutic work. By using therapeutic practices to work with spiritual issues, blocks to both personal and spiritual growth can be cleared. Doing so in a group context creates a setting for profound healing and transformation. The workshop provides a clear template for work with clients; exploring the topic step by step, using a Gestalt approach to address unfinished business, and promote dialogue. 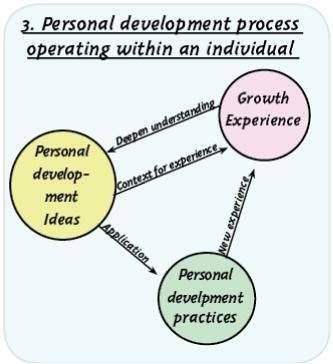 Below is page one of a map using the lens’ of beliefs, practices and experiences to uncover similarities and differences between therapeutic and spiritual approaches to growth and development. This is one part of 7 videos from a workshop in Mexico on the topic. Its a little slow, because its from a 2 day workshop, but the videos explore the topic of how to work with spirituality in a therapeutic context.